The BBC has announced that Android 2.2 users can now access the BBC iPlayer service, all because the OS upgrade comes with Flash 10.1 compatibility. To make sure the iPlayer works on Android screens, the Beeb has optimised the UI by tweaking the playback controls for touchscreen devices. The broadcaster does warn that you can only use the iPlayer over WiFi and that your phone will need a powerful processor to cope with the data – but, as it is only high-end phones like the Nexus One which are due for the 2.2 upgrade this shouldn't be a problem in the short term. However, when the OS trickles down to budget Android devices, there may be some issues. Playback of iPlayer over Android will be done through a 400kbps Flash stream, which the broadcaster notes "provides a really good playback experience." 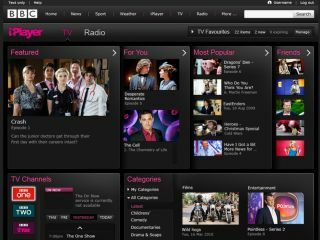 Unlike the iPlayer, this isn't an actual app the BBC is releasing, but is a browser-based optimised site. This is because the BBC Trust is investigating whether or not the BBC should be releasing its own phone applications. In other iPlayer news, Xbox senior regional director Neil Thompson has admitted that there are no plans to bring the iPlayer to the Xbox 360. TechRadar has been campaigning to bring the iPlayer to the Xbox 360 for some time, so this will be a blow to the thousands of people who wants the app on the console. Thompson, speaking at E3, said about the catch-up service: "The iPlayer is available on a lot of platforms, people connect to that content in a lot of ways today and it's like 'where would we add value to that particular property at this point?' and we think we can probably add value in other areas at the moment." We are convinced that adding the iPlayer to Xbox Live adds value to the console regardless, so we're not really sure what Thompson is getting at here. Despite Thompson's dismissal of the iPlayer, sign up to our petition and we'll see if we can change Microsoft's mind.